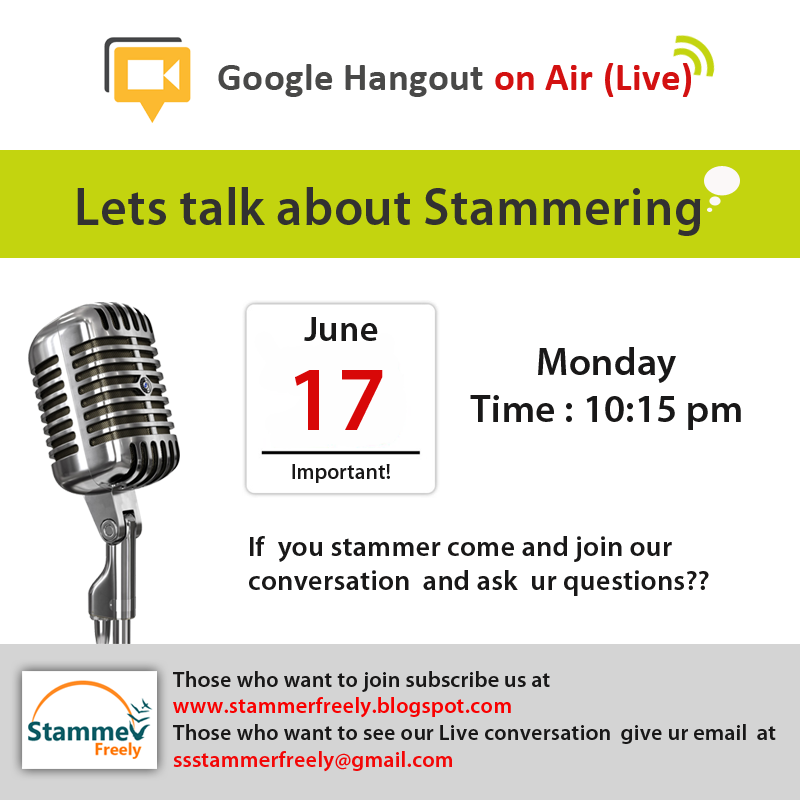 Welcome Everyone to StammerFreely Hangout Session and Let's Start Practice with us ! 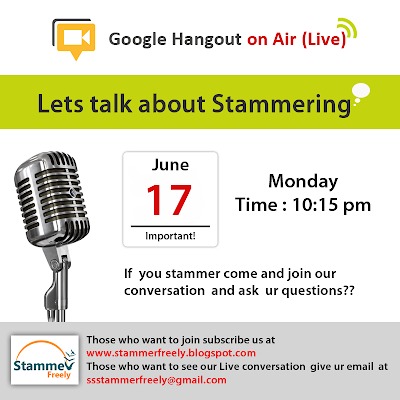 Introduction :: StammerFreely Google hangout is a platform for stammerers in order to improve stammering and communication through video/audio conversation with the group of stammerers. 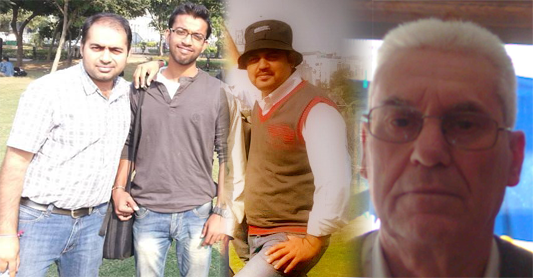 Stammer Freely has been running successfully since 14+ months. It was started in September 2012 and hopefully it has been running with much and more efficiency. 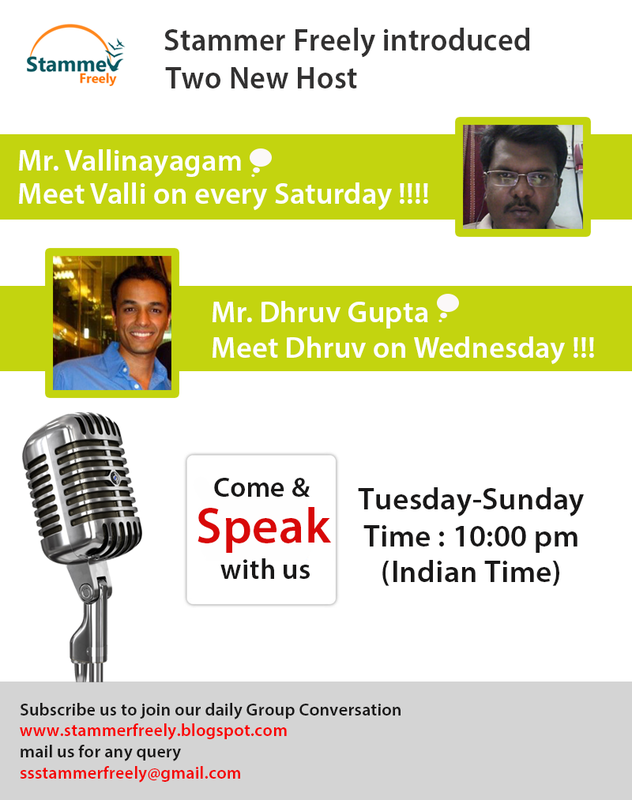 Today Stammer Freely* is going to be Live(on air) at 10 pm, Come and join us !!!!!!! 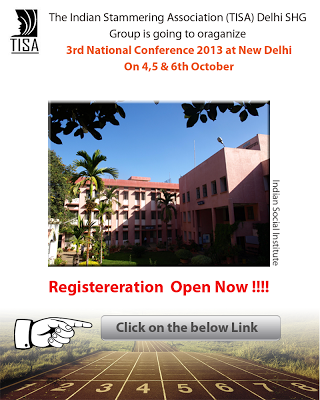 "Work on attitude rather than making yourself sad"